Sometime during the mid-1990s, I purchased from a catalog called Wireless a tee-shirt that listed Banned Books. This “publication” now exists online, but its wireless existence definitely needs a live wire! One evening I packed this tee-shirt in my gym bag so that I could wear it with some sweatpants after showering from my workout at the all-female non-health club. Since I did not bring my wallet into this establishment, I hadn’t yet found a reason to lock my locker, but I soon discovered one. Someone stole my Banned Books tee-shirt. I was forced to don my sweaty leotard on the return trip home. When I arrived at the Suburban Gilded Cage, I informed my husband and tots of the disgusting act: Some woman had pinched my fabric list of Banned Books. The type of person who would steal any item, but especially a statement tee-shirt, is now the type of person who today would increase that list of banned books tenfold, if not a hundred-fold. Small minds think alike. The irony of that pinched tee-shirt is that many of those banned books later made the list of reading assignments for my home-schooled children. In the 2000s, pressure was mounting everywhere to teach “the right books” and only “the right books” to a child. Indoctrination must begin early, and often, among the zealots. 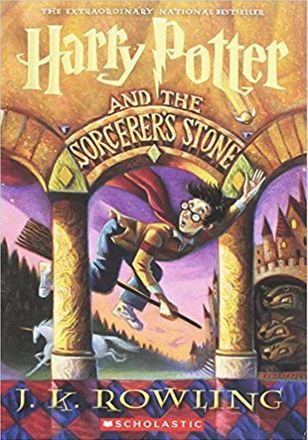 Among certain high-minded home-schoolers in Placer County, California, Harry Potter was spoken of in a scurrilous manner: too much fantasy, not enough God. Good God! Where is any spiritual Being without fantasy? Especially in the impressionable mind of a child! Shakespeare was also being given the stink eye for his bawdy humor and ribald fun. Even more of his plays made the top of my teaching list. Whether it’s from the Left or from the Right, censorship rears its ugly head as if the nitpicker was born yesterday and has just invented the screeching screed to stop the thought wave from reaching the mental shore. There are now for sale Banned Book tee-shirts that list politically-correct books that have been banned since the era of my Banned-Book tee-shirt in the mid-1990s! The “tradition” of prior restraint isn’t quaint, but it has been around a long time, a very long time. 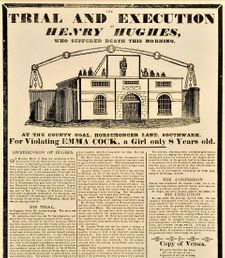 Kings in dour olde England deemed it their right to make duly sure that only the words and spin they found kind to them were printed, whether on broadsheets or on placards in the narrow streets of England. A man could get himself killed by writing the “wrong” things about his King. “Freedom of the press” was never truly free in England. 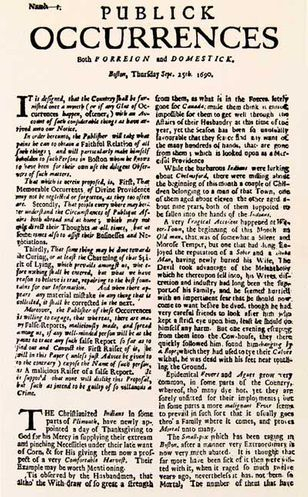 The first daily newspaper in London was The Daily Courant, published in Fleet Street in 1702. It became so popular that it was nearly taxed out of circulation. Taxation itself became a form of censorship. That newspaper tax was repealed in 1855, resulting in the growth of the newspaper industry in Fleet Street. The antics of Fleet Street journalists since that time have maniacally defied the Government, as if to say, “We’re saying it, and you can’t stop us.” Those days are gone. Methinks ye olde scriveners did protest too much, to the point where the Politically-Correct Press now treats protestors as druids and soothsayers. 180 degrees of abnormal isn’t normal; the English press is either in a state of high dudgeon or bootlicking where the Government is concerned. The present-day vapors over the absurd political correctness in British newspapers flagrantly deny the history of a kingdom that has reduced the legislative power of the Royal Family, but that monarchy has not lessened one iota the power of Her Majesty’s Government to impose prior restraint upon publications in the Sceptered Isle, especially when the Sceptered Isle is in dire straits. Unlike the United States, England does not have a “devolved” government. There’s no such thing as local control. Legislative supremacy is owned by the Parliament, a body that appears to chronically be a mess. Political correctness is a symptom of that mess, not the cause of it. Political correctness is indeed offensive and abhorrent, but it is also the means by which revolutions are mounted and executed. A person might silence the speech of another person, but the miscreant only strengthens the thought that goes unexpressed. The First Amendment of the U.S. Constitution was created, in large part, as a response to the overweening abuses of the English government toward freedom of speech in the Colonies. 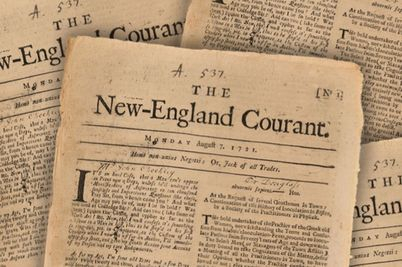 It is said that American journalism and jurisprudence are founded upon English foundations, but the closer truth is that the English foundation was only a starting point for the freedoms that Americans now enjoy and abuse. The Founding Fathers were attempting to stick with the founding principles of the Magna Carta. 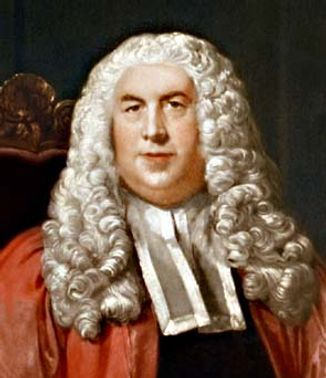 William Blackstone was the 18th-century English jurist, judge and Tory politician who wrote his Commentaries on the Laws of England. The guy cut quite an imposing figure. His arm of jurisprudence was long, very long. The “Commentaries” established the tradition in a very young America of common law, a concept that is becoming less common each day in the less-young United States. Publick Occurrences are now hoaxes and hypes in digital type, the kind that would disgust even Orson Welles. Judicial precedent is the foundation of common law. It relies on prior laws, or case law, to determine future laws. This off-with-their-heads approach applied by ignoramuses to any public statue, historical figure, or proper nouns — that repressive rigidity of restricted mind is censorship, of a kind not seen since the Jacobins in Revolutionary France. 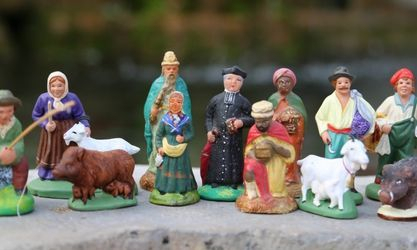 The Nativity Scene figurines have taken on the sacred force of les santons in Provence. Banned Books have been reduced to banned thoughts, and the wireless of the Internet has morphed into a free-for-all of fantasy parading as facts. Fiction is getting a bad reputation of late, and I, as a writer of fiction, do not like this new form of censorship one bit! 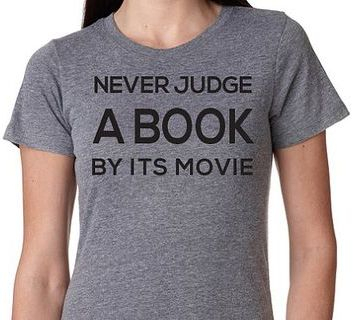 Oh, how I long for my tee-shirt of Banned Books. The kooky kleptomaniac who grabbed it from my locker might very well be marching today to ban even more books. I long for the old-fashioned kind of censorship, the kind that induced inhibited, tight-lipped librarians to sneak a peek at lunchtime into the forbidden pages of the licentious book, the one kept hidden on the top shelf behind the counter at the library. I know whereof I speak. I had to sign out for The Fountainhead four separate times to finish the thing as a freshman in high school. 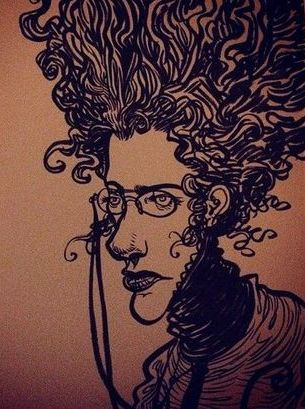 The librarian, a minister’s wife, was a cliché in human form, a stereotype in stereo. I was only allowed temporary possession of the book for one month, and then I had to return it to the pince-nez librarian for yet another checking out. I daresay she checked me out more than this book! After 4 loans, I’d better be done with That Book. And I was. Ayn Rand and her political diatribe sprawled in the midst of narration and dialogue never did appeal to me. This librarian might have had it out for me. She once removed me from the Library Table as the only girl at the table with the boys, playing chess, and besting them. Mrs. Prig now appears, in my misty memory of un-lost time, as a breath of fresh air compared to the vapid silly stupid watchdogs of the “approved” books, the list of which grows longer every day. 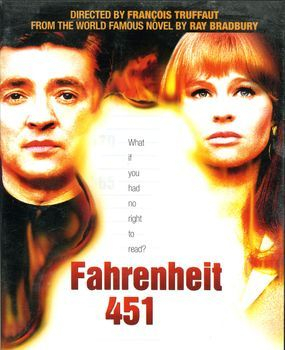 The horrors of Fahrenheit 451 come to mind. I’ve not read the book or seen the movie, but I’ve read enough about the literary lunatics to see that the censorship of today is on a path toward the suppression of sane speech in a democracy that thrives on all kinds of speech. The audacious among us now wish to speak the truth about the lies that were foolishly accepted as truth during an era of fraud and deception in America, in Europe, and in many other countries of the world. The pulling-of-the-wool over the eyes of the citizenry began sometime during the 1990s, just about when I purchased that tee-shirt of banned books. Today, my tee-shirt wouldn’t be stolen; it would be torched! The freedom to wear statement tees in public is not a topic that Mr. Blackstone approached or even anticipated. Even he would have laughed at the plebes posing as protectors of the press. I find this situation less funny today, but the remembrance of a purloined possession might be dampening my high spirits. 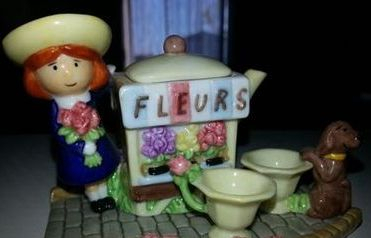 I therefore mention, on a more whimsical note, the wonderful Madeline tea set that I purchased from Wireless for little Dear Daughter in the late 1990s. As I recall, the ceramic was made by Limoges in France. It’s now a collector’s item! 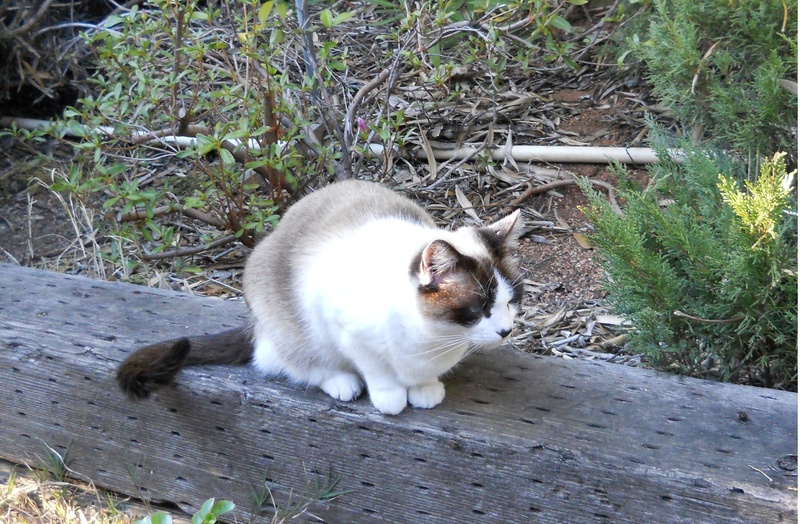 Perhaps the prior-restraint basket-cases ought to contemplate that opinion, or any opinion! 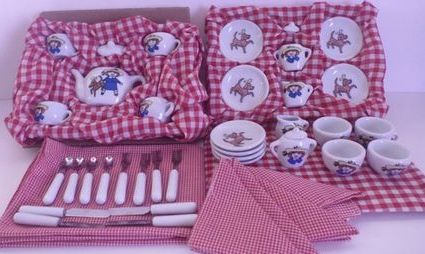 In the spirit of basket cases, I’ve just purchased online the basket-case Madeline picnic set. Maybe the social spark plugs could use a nice walk, outdoors, in the park, and enjoy some roast beef sandwiches with Dijon mustard. Some beef protein might help their state of mind!